Private Wi-Fi access operators are now free from user’s rights infringement, according with a ruling on May 12th, 2016. In accordance with a ruling on May 12th, 2016, the German Federal Court of Justice (Bundesgerichtshof – BGH) freed operators of private wifi access from any liability resulting from their users’ violation of intellectual property rights. In fact, operators of private Wi-Fi are under no legal obligation to inform users of age about the illegality of sharing copyright-protected content on the internet. Earlier this month, the Federal Government adopted the Draft Second Act, amending the Telemedia Act (Telemediengesetz – TMG), stating that Wi-Fi operators are not liable for any infringements committed by users. 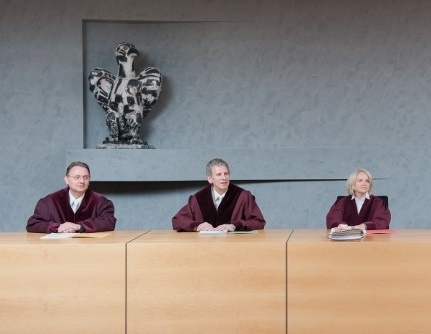 The German Federal Court of Justice came to a final decision after a lawsuit was filed for the illegal sharing of the film, “Silver Linings Playbook”. The plaintiff, who owned the intellectual property rights of the movie, solicited the reimbursement from the operator of the legal costs of a warning notice against illegally making the work publicly accessible. However, considering Wi-Fi users had committed the infringing act on the defendant’s (the operator’s) password-protected Wi-Fi, the BGH found that the defendant was not co-liable for breach of the duty of care. It was also argued by the court that “it was not reasonable to expect the defendant to issue corresponding instructions without there being concrete indications of the illegal use of the WiFi access point.” As mentioned above, private wi-fi access operators are under no obligation to instruct adult wifi users of the illegality of intellectual property sharing without a specific reason. Generally, Germany lags behind in comparison to other European countries when it comes to public Wi-Fi, with an average of 1.87 wifi hotspots per 10,000 inhabitants. German enterprises, namely SMBs, often refrain from offering Wi-Fi access as they do not want to be held liable for the misconducts committed by users on their Wi-Fi networks. Nevertheless, after the court ruling in favor of the operator and the adoption of the Telemedia Act, Germany’s distribution of public Wi-Fi is expected to increase across the country.